Mallku was born as DJ in the hills of the city of Quilpué, in the region of Valparaiso. Chile. While in Santiago a club scene was consolidating, mallku kept showing his work in natural environments. 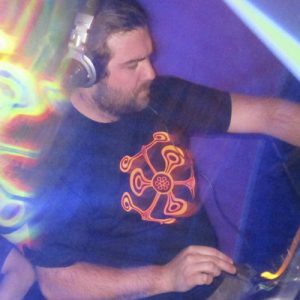 In his first years (2009) his sets were mainly full on night, but not satisfied with this style he had a brief pass through twilight to arrive to forest, style that connects him deeply with Psychedelia, connection that reflects in every set. Since 2011 Mallku begins his expansion in various festivals in South America, such as Earthdance (Argentina), Tribes festival (Bolivia), Ressonar (Brazil), Inchala festival (Uruguay) and Chile’s most important festivals, performing recently in Earthdance, Tripantu and Hippie Land. Mallku also gave life in to 2015 to a new cycle of club parties in the city of Valparaiso, Waves, with the presence of the most important chilean artists and major international artists such as Ethereal, Onion brain, Diza, Nargun participated.